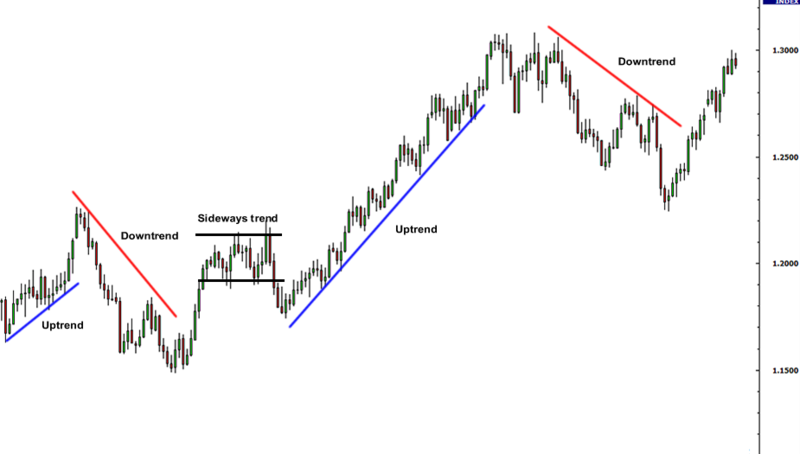 Trend line or in the language of its forex trendline is often called, is the most common and basic form of technical analysis. Where by this trendline could signal a reversal, retracement, selling / buying. But the fact is also much less utilize trendline trader in analyzing the movement of prices (chart). In fact, if drawn correctly, trendline can provide accurate signal other technical analysis methods. It often happens is that traders do not make a trendline line according to market conditions (a rule which is true), on the contrary, they draw a line in accordance with the wishes of their own trading. 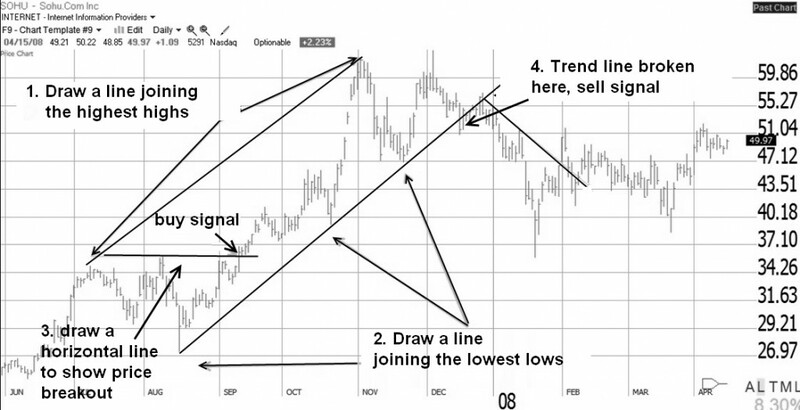 Okay, so how interesting trend lines properly? Because this form is the line then the requirement to draw a line is you can find 2 points or 2 point support resistance and tail. Tail in this case could be interpreted as a point to 3 which is the point of confirmation. Or simply by withdrawing from the 3 point line will be obtained quality trends A more accurate. * It takes at least 2 points peak or valley to draw trend lines are valid but need the points to 3 to confirm the trend line. * If you find a trend line which falters, or in other words not in a straight line lengthwise, it is possible that the trend will soon end and there was a break (change trends). The more disconnected or terraces, the larger trend. * Outline the trend will get stronger / invalid if they succeed through the test. Where the price movement / support / resistance can not be hit (break) lines. * And most importantly, DO NOT force the draw trend lines to be in accordance with the wishes of trading (analysis) alone, or with market conditions though. If, after you describe the rules which did not fit right and mean left alone, assuming current trendline line what’s the use. * In the application of forex trading (stocks, etc. ), facilities or tools to draw a general outline has been provided. But the question of where to draw the line where, you alone remain to decide. Good luck and analyzed with a trendline! !